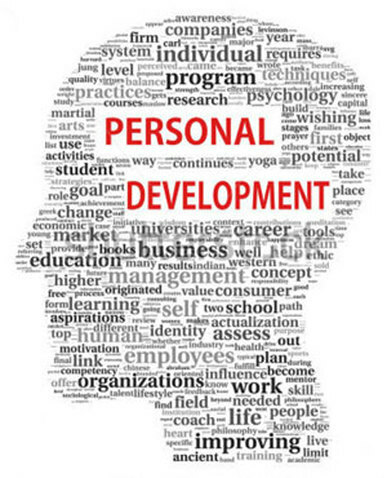 A personal development plan consists of a number of steps, and it is tailored to the individual creating it. However, regardless of the objectives of your personal development plan, there is the need for constant self-assessment to ensure that every aspect of the self-development plan comes to fruition. There are four main things you can do to ensure a proper self-assessment. It is important that you are using all four methods on a regular basis. When you are using these four methods, it allows you to constantly know whether your personal development plan is truly working. You will know when it is time to make changes if you complete regular self assessments so that you are constantly working toward the person you want to be. When you have goals (we all have them – dreams and visions), they are something you need to start working on daily. In most cases, a short amount of time each day is adequate for this so you do not have to deny your prior obligations in order to work on your stated goals. When you are taking action, it is important to remember that your responsibilities do come first since your personal development journey is about becoming greater. You do not want to allow yourself to get behind on the things that you need to be doing, so take action. You have to work on your actionable steps so that they fit into your overall plan and lifestyle. Most people who want to implement a personal development plan will reflect at the end of each day to see where they are and how things are going. This only takes a couple of minutes and you can do it at night as you are lying in bed and waiting to drift off to sleep. Simply take stock of your day and see what happened and how in control you were. Did you meet all of your goals for the day? Did you take the time to work on yourself in addition to getting all of your responsibilities done? Are you truly satisfied with how your day has gone and what would you want to improve on? When you are creating your goals as a part of your personal development plan, you want to start by making all of your long-term goals. What are the major things in your life that you want to work on? Most people have three to five big things that they want to improve upon and this is when you are going to create these. Next, you will create the small goals that allow you to meet your big goal. The small goals are your short-term goals, which are designed to get you, in the long-arc, from point A to point B. Your long-term goals can take anywhere from six months to several years. You are adding the short-term goals to the mix to help you stay focused. As you meet each of your short-term goals, you will stay motivated to stay on track with what you need to get done. You should make your first few short-term goals that you can accomplish in a month or less because you need to start meeting something in order to stay on track with what you want to get done. After this point, you can start to space them out depending on what your goals are and the time they will require. Everyone has weaknesses and strengths and it is important to be able to identify what these are from the beginning. Your strengths are going to help you meet your goals and they also serve as tools to overcome the weaknesses that you identify. For example, if you have a weakness when it comes to communication, but you find it easy to relate to people, your being able to relate will make it easier for you to learn about and execute various communication strategies. Make sure that you are fully honest with yourself when identifying these. All four of these should be done continuously to stay on track with your personal development plan. Ideally, you want to set aside about 30 minutes per week to work on these so that you constantly know where you stand. This gives you ample time to re-evaluate and take care of any bumps in your plans. Make sure that when you are using these four methods and any time you self-assess that you are fully open and honest. That ensures that your efforts will work and help you to achieve the level of personal development you seek.